Thanks to its cocoon-like backrest, the 178 armchair by freistil is the perfect seat to curl up, relax or seek refuge. It appears simultaneously open and closed and matches the sofa set perfectly. The chair is suitable for the hallway and can be equipped with castors to increase its versatility. The armchair by Anders Nørgaard consists of an inner steel frame padded with polyurethane foam. Available with leather or fabric upholstery in various colours, the seat is seamlessly introduced into any environment and can be retrofitted with a headrest to enhance its encapsulating cosiness. The headrest is available on demand as a separate accessory. The matching 178 stool acts as the perfect complement to the 178 armchair. 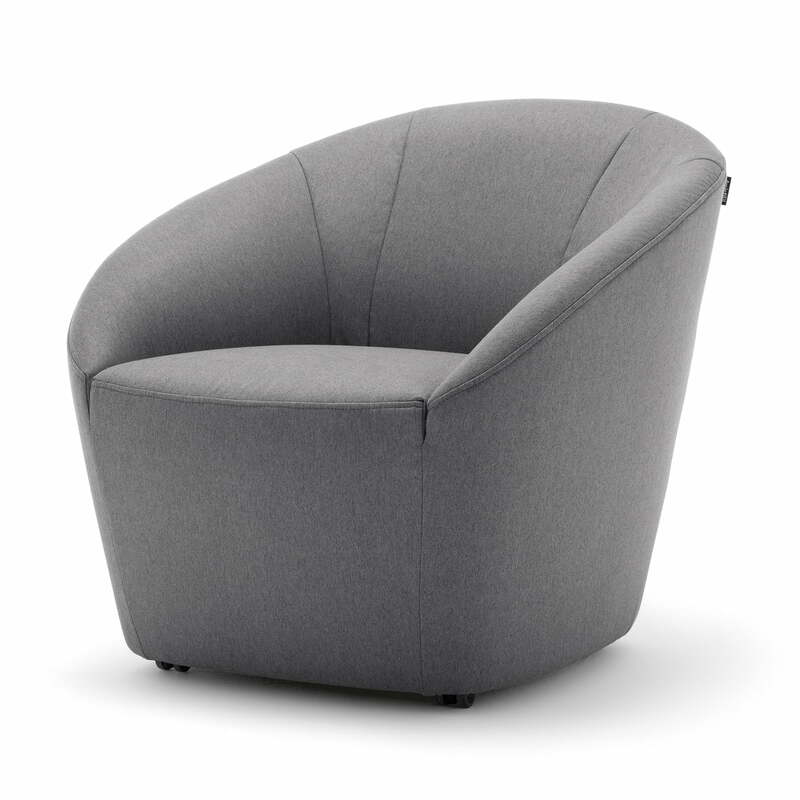 Isolated product image of the 178 armchair in blue grey (1073). 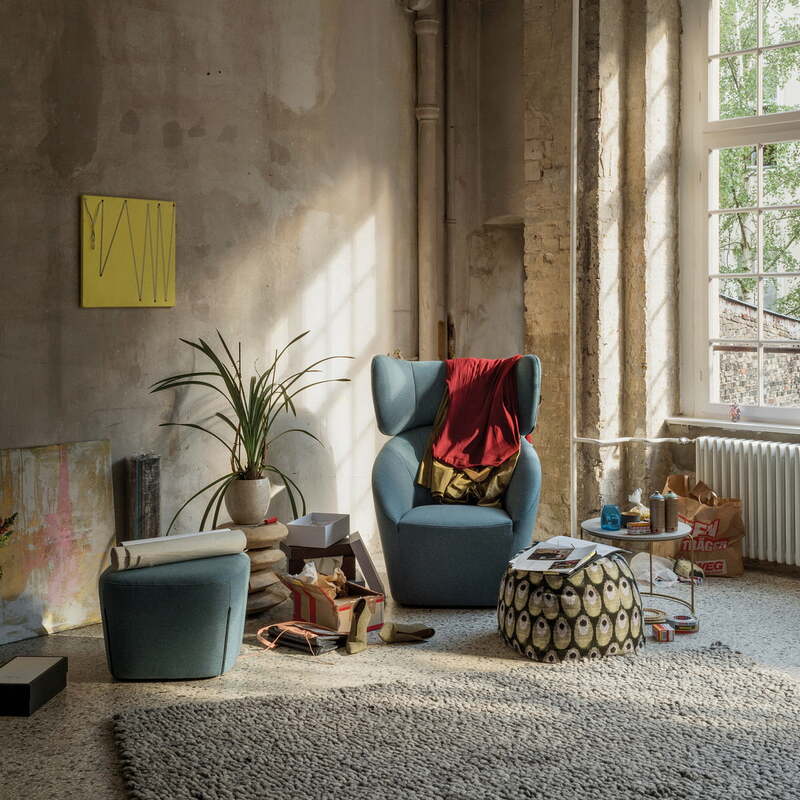 The cocoon-like backrest make the 178 armchair a perfect seat to curl up, relax or seek refuge. Isolated product image of the 178 armchair by freistil with pastel purple upolstery. The armchair consists of a steel inner frame padded with polyurethane foam. Lifestyle product image of the 178 stool and armchair: Matching the 178 armchair, the 178 stool by Anders Nørgaard for freistil is also available, making the seat even more comfortable.